This is either the third cut to be produced or the third cut in the movie. Unit 08+02 is officially dead I'd say. We know they have "budget", though -- you've seen New Eva-02, haven't you? That is (effectively, given level of damage) completely replacing and outfitting a destroyed Eva. Replacing a pair of arms is nothing in comparison. This atrocity upon 08 only makes sense if it's a temporary measure the Wunder crew resort to while in the field, and by the time New 02 is unveiled Eva-08 is fully refurbished. Last edited by Joseki on Tue Jul 24, 2018 2:57 pm, edited 1 time in total. 3rd cut of the trailer. It's a trailer made on it's own, so there's zero guarantee any of it will make it into the actual movie. Dare I say the choreography is strikingly similar to that first space Eva-02 trailer we got during a special TV broadcast. TMBounty_Hunter wrote: 3rd cut of the trailer. Looks like a last minute repair by Wille. It makes sense, if it's going to be in the movie the scene will probably be completely different. This isn't the next time preview though; it's more akin to this teaser for 3.0, and that scene made it into the movie. If we're going by what eventually happened with 3.0 then Eva Unit 8+2 probably won't make it into the final cut. 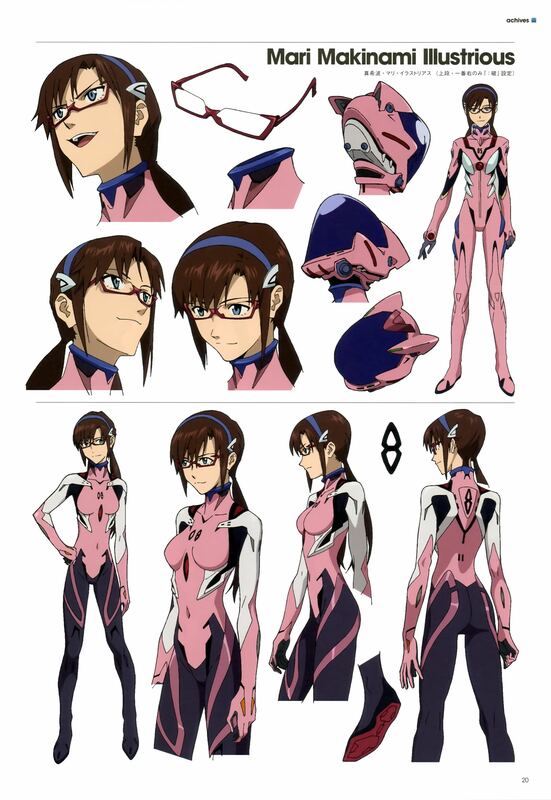 None of this footage will be in the actual movie - the Salvage Eva Unit 08 is shooting at nothing in a void - BUT most assuredly there will be a scene where Mari has to pilot Unit 08 on a mission and gets into a shooting exchange. It could quite possibly be the opening scene of the film. In the screenshots the lack of polish is quite evident, this looks like a very quick work with little to none post processing and effects. Music and background are reused from 3.0 too. Reichu wrote: This atrocity upon 08 only makes sense if it's a temporary measure the Wunder crew resort to while in the field, and by the time New 02 is unveiled Eva-08 is fully refurbished. We haven't seen New Nigoki's legs. Btw I love both the new plug suit (beautiful in its simplicity) and whatever happened to Eva-08 (this is the type of weird stuff I want out of Rebuild, this might be a metaphir for the film itself in some way even). Here is a working link to the teaser. Reichu wrote: We know they have "budget", though -- you've seen New Eva-02, haven't you? That is (effectively, given level of damage) completely replacing and outfitting a destroyed Eva. Replacing a pair of arms is nothing in comparison. I'd say the world is destroyed, like totally gone, maybe its hard almost impossible to find new ressources to rebuild totally a new eva ? Or maybe like you said , they put all the effort into another eva wich will be their ultimate one. Perhaps while the core three - Shinji, Rei & Asuka - are still wandering the red desert WILLE/the Wunder are attacked by something from NERV and they have to send out their only functional Eva + Pilot to fight it off. Mari does her best & it's a big action set piece with a glorious Shiro Sagisu score that blows everyones minds. But Unit 08 mostly gets destroyed in the process and then later in the film it's parts are combined with the remains of Unit 02 to create the amalgamation Unit if it's still a thing.